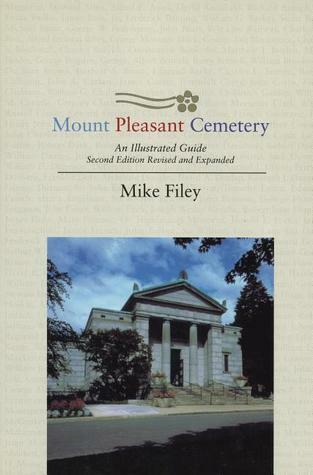 From Goodreads ~ Established in 1876, Mount Pleasant Cemetery has a rich and textured history. It is the keeper of thousands of stories, each of which has contributed to the history of our city, province, and country. Many of Canada's most beloved figures rest there - William Lyon Mackenzie King, Foster Hewitt, Glenn Gould, and Timothy Eaton are just a few. Other, less known historical figures are buried there also - the first Canadian soldier killed in First World War and victims of the 1949 Noronic disaster. Along with a fascinating account of the cemetery's history, this illustrated guide includes descriptions of the remarkable monuments and the beautiful horticultural features. Accompanying maps detailing their locations make this book a perfect companion for a walking tour through the grounds. Mount Pleasant Cemetery is here in Toronto near where I work. In the early 19th century, the only authorized cemeteries within the city of Toronto (then known as York) were limited to the members of either the Roman Catholic Church or the Church of England. Deceased citizens who didn't belong to either of these Christian denominations had no choice but to find burial arrangements outside of the city. In 1873, a new cemetery available to all citizens was conceived. Originally a 200-acre farm on the far outskirts of Toronto (it's now in the centre of the city), Mount Pleasant Cemetery opened November 1876. 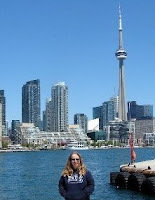 It was designated a National Historic Site of Canada in 2000. The book begins with the early history of the cemetery, followed by chapters about the monuments and their histories and the trees and shrubs. What follows are almost 300 stories about some of the people who are buried there (it is the final resting place of more than 168,000 people). They range from the famous to the non-famous ... veterans, survivors of the Titanic, medical personalities, entertainers (Mary Pickford's father is buried there), businessmen, politicians, sports personalities, etc. The stories are bite-sized with info about where the person was born, what they did and where they died. It's a handy guide if you are touring the cemetery. Though there are pictures of some of the people buried there, it would have been nice to have some pictures of their monuments, gravestones, etc. Mike Filey had a column in the Toronto Sun for about 30 years and I read it for many years (I like learning about the history of Toronto). I've read a lot of his books about the history of Toronto and have enjoyed them. This is on my bookshelf too; it's taken me on some interesting walks. Nice to see it pop up here; I didn't think anyone else would be keen on it!